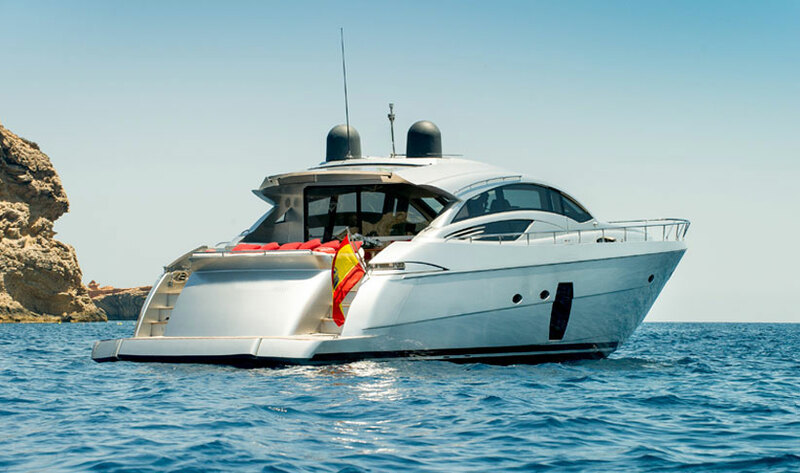 The Maiora 24s superyacht, made in 2007 and now refitted in 2016 is an elegant and stunning superyacht available for charter in Ibiza and Mallorca. 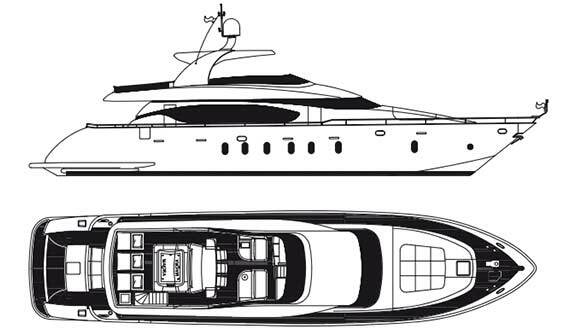 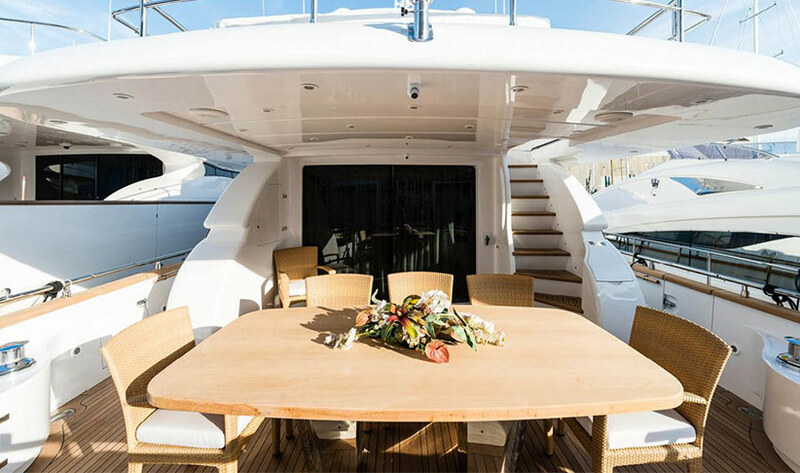 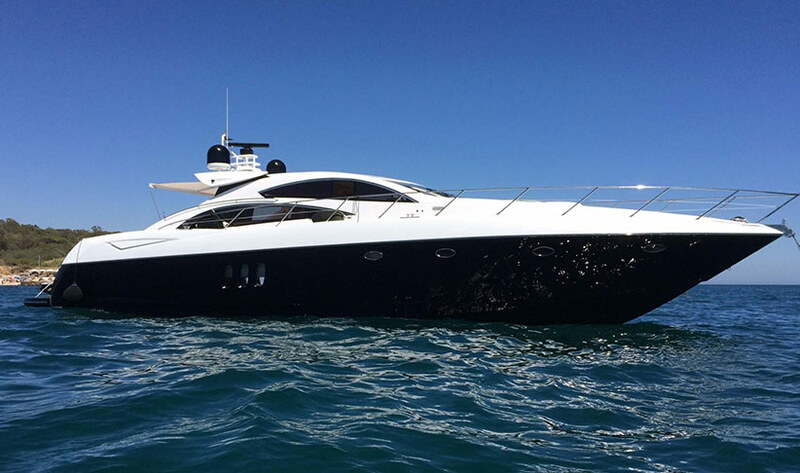 She has a large flybridge deck and plenty of watertoys. 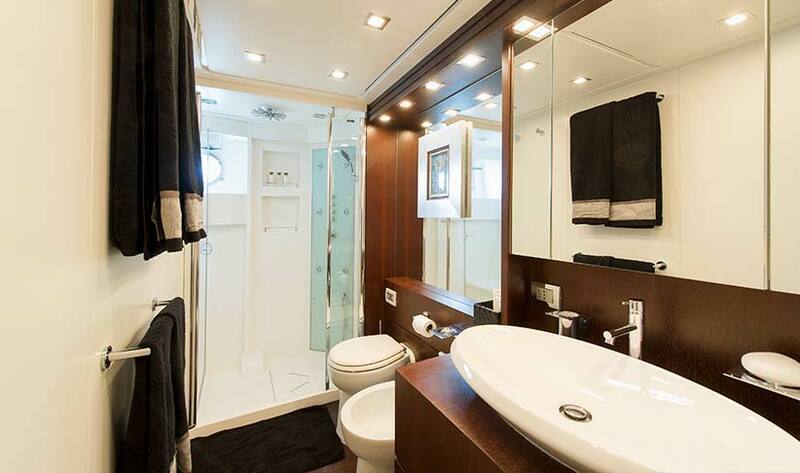 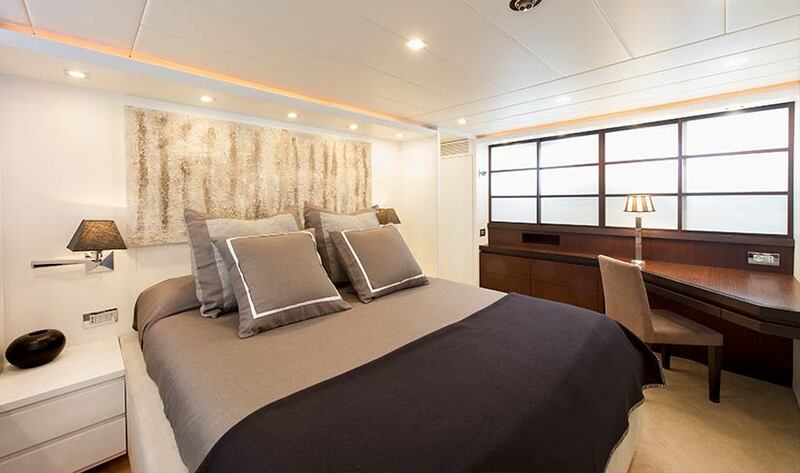 Sleeping up to 10 in 4 cabins (2 junior suites and 2 double cabins with extra pulman beds), all with en-suite bathrooms and satellite TV and DVD. 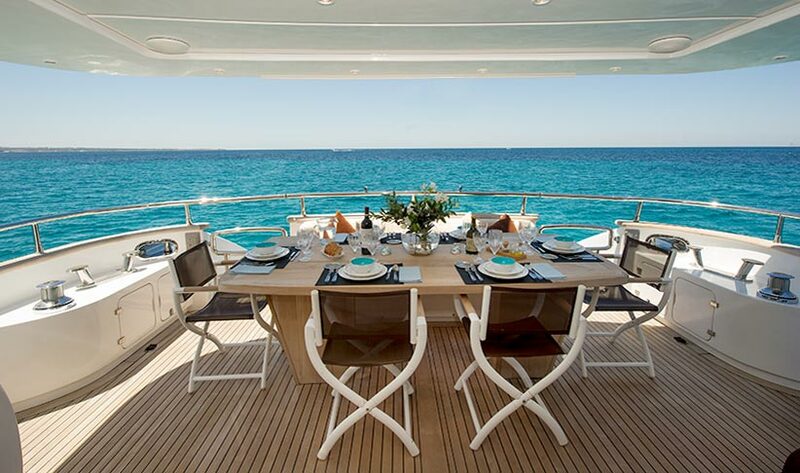 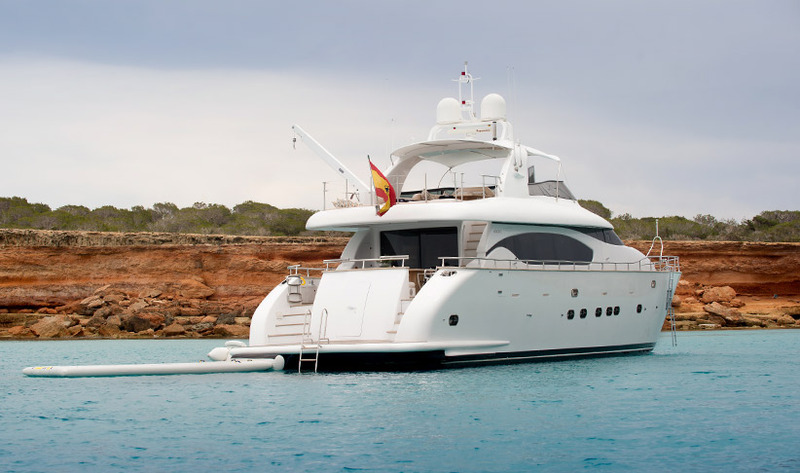 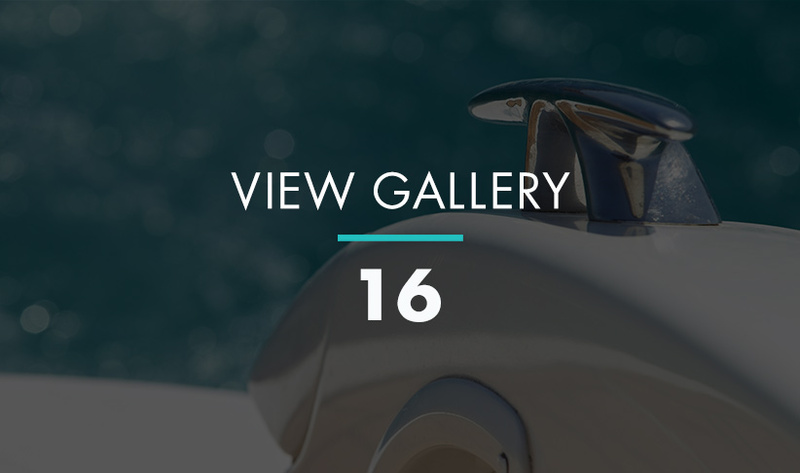 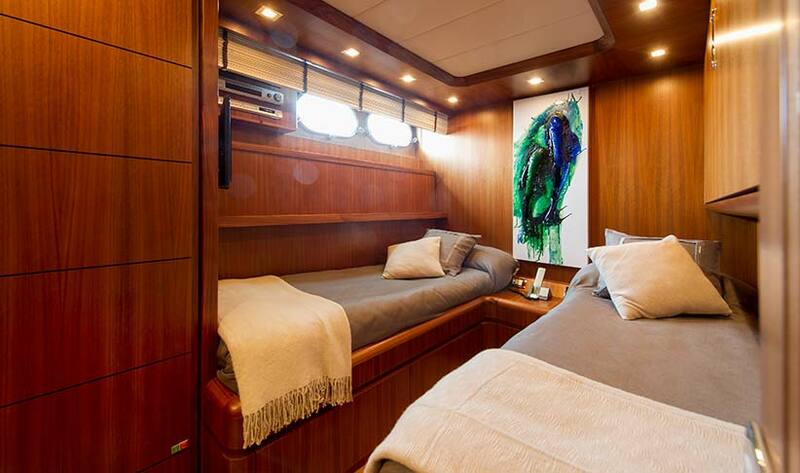 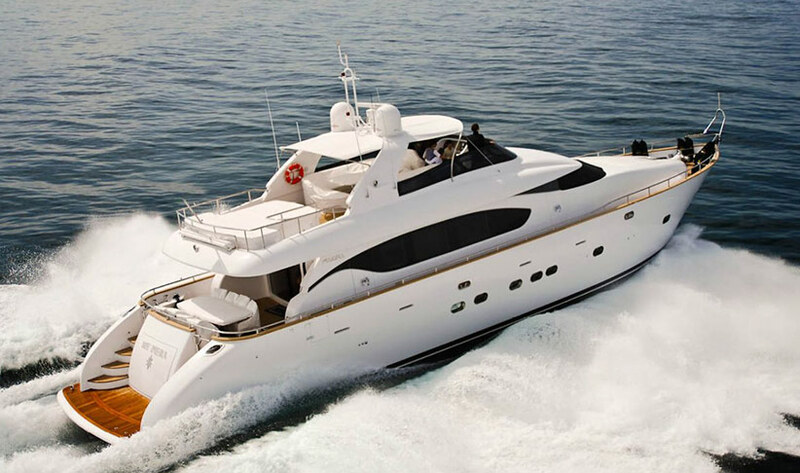 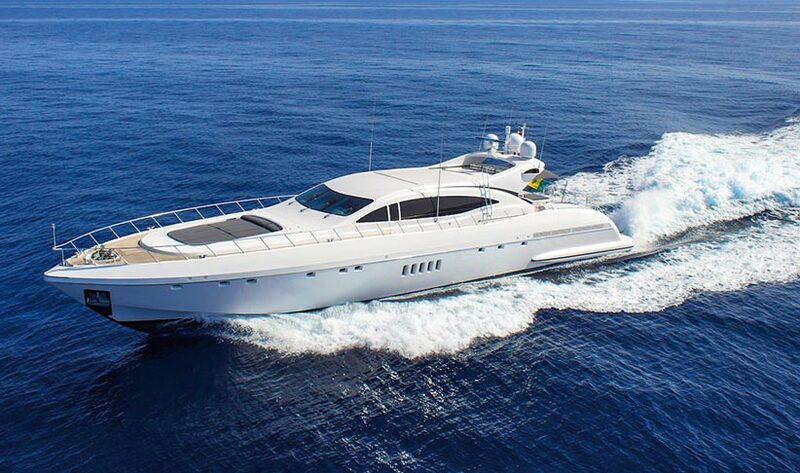 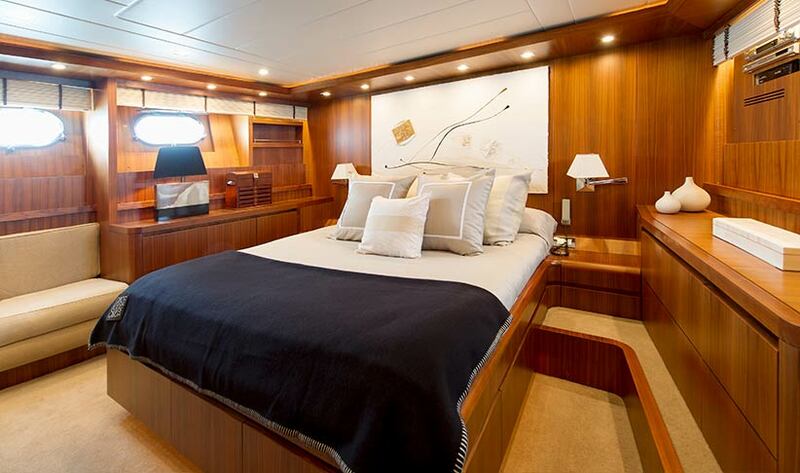 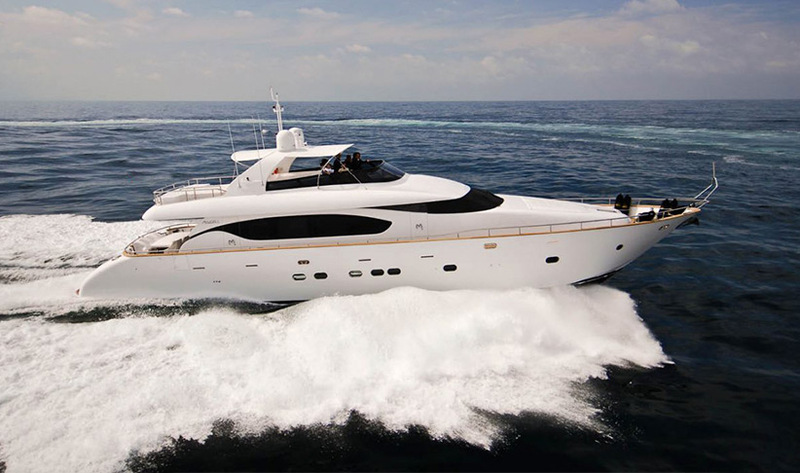 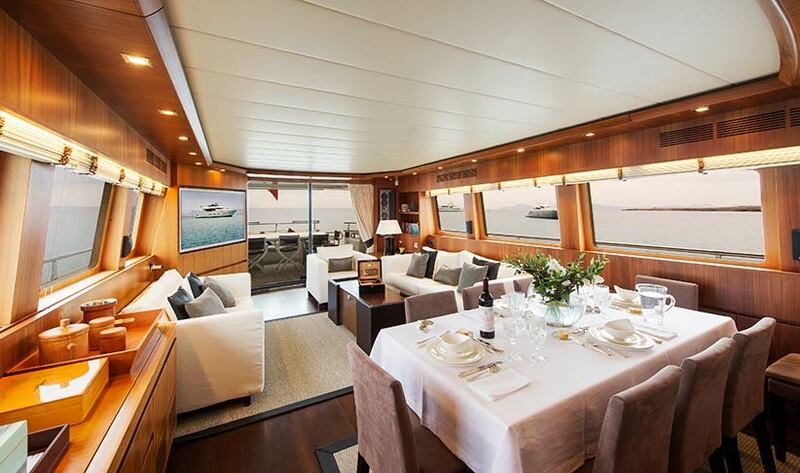 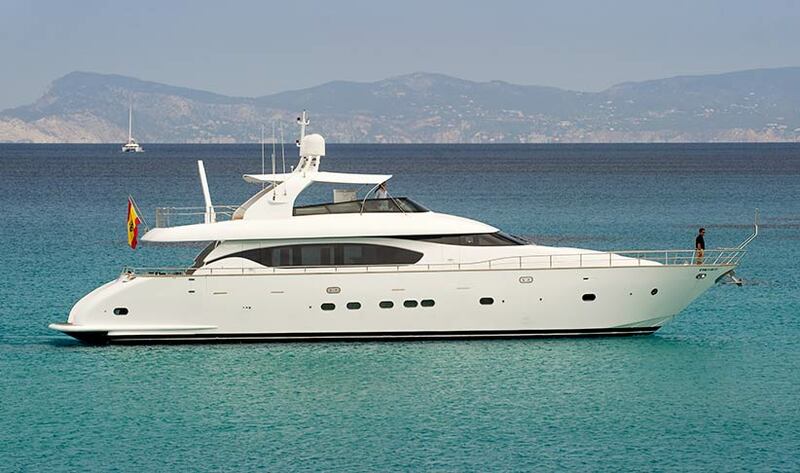 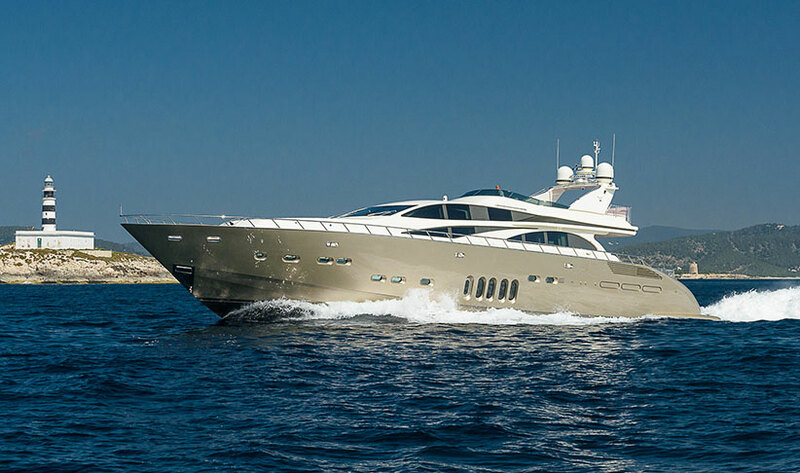 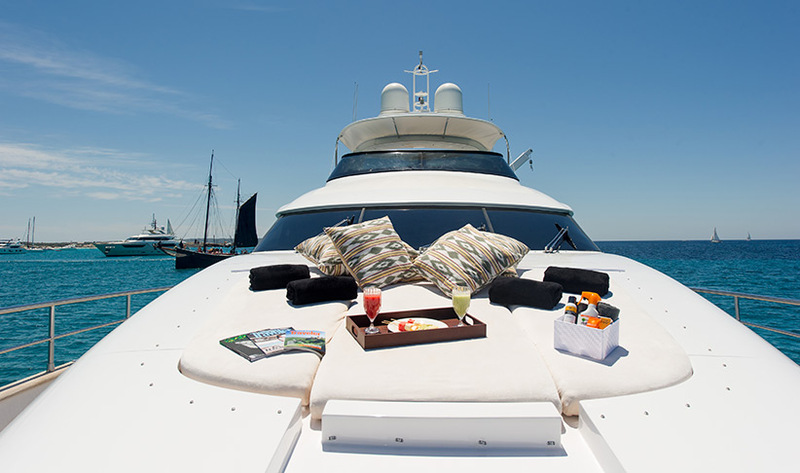 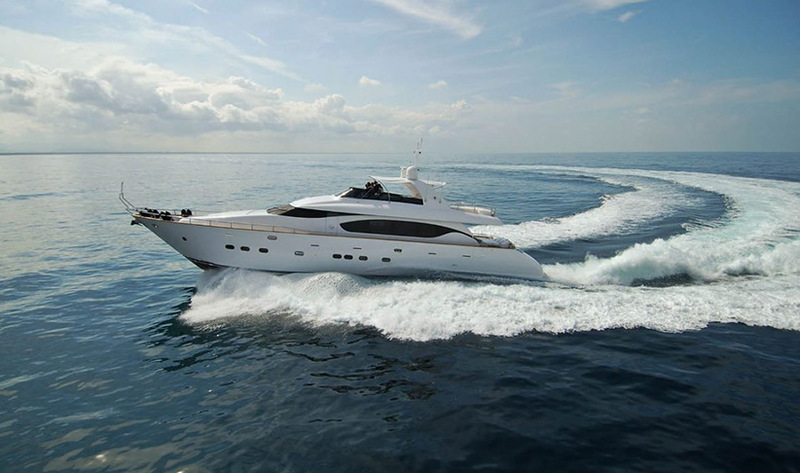 This superyacht has high-speed Wi-Fi and top quality Bose sound system throughout the common areas. 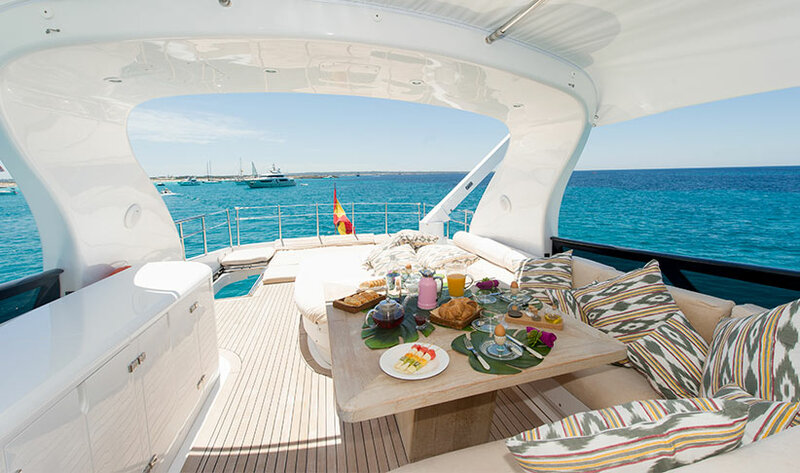 The mooring is in Marina Ibiza in front of Lio and now the Maiora 24s has a crew of 4 including chef.